spanning the 40+ year career of Rick Saucedo. this work has been compiled through the efforts and contributions of various individuals. when he and his brother would listen to Elvis and The Beatles. 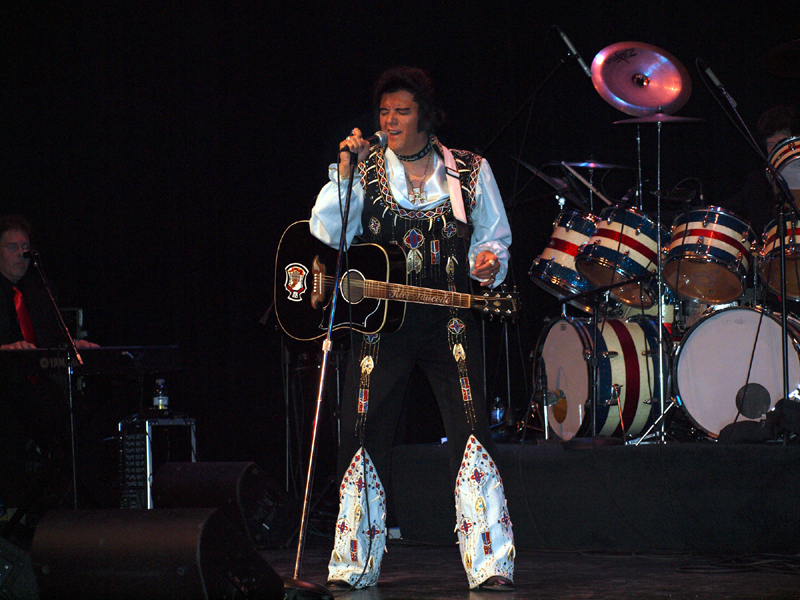 including some songs from The King of Rock 'n Roll, Elvis Presley. for this young teenager from Halsted and Armitage. 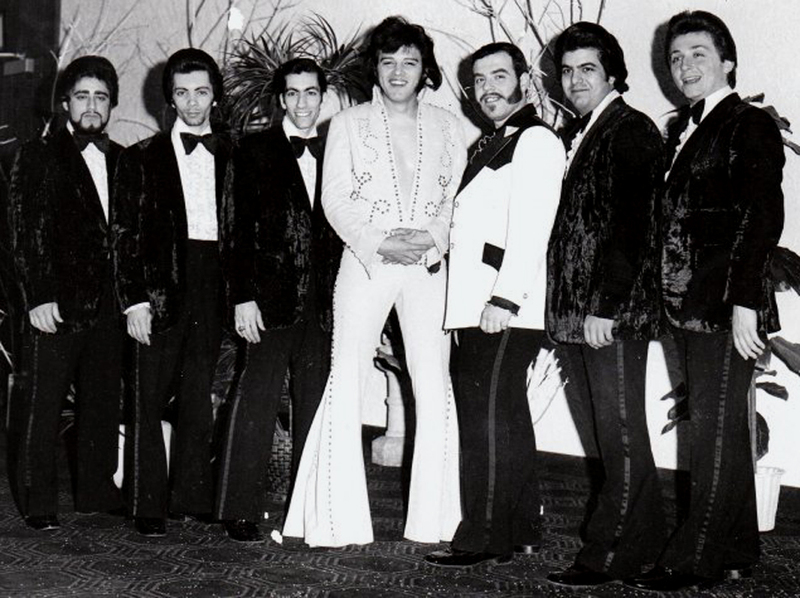 “The Ambassadors”, worked nightly at many local clubs and lounges. 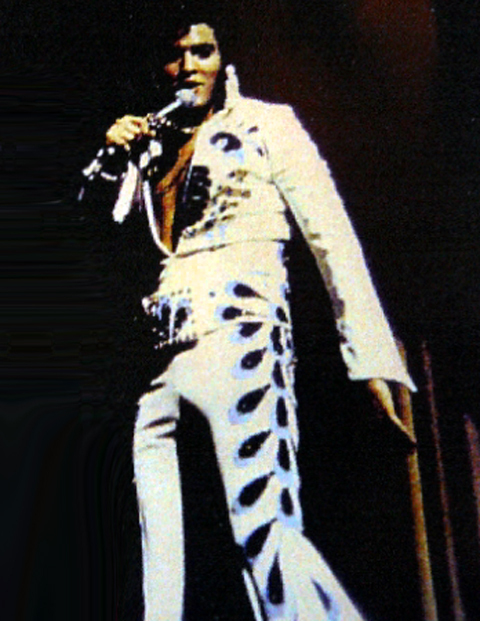 with the Elvis act, he was approached by larger venues and talents. Rick was touring with his band. 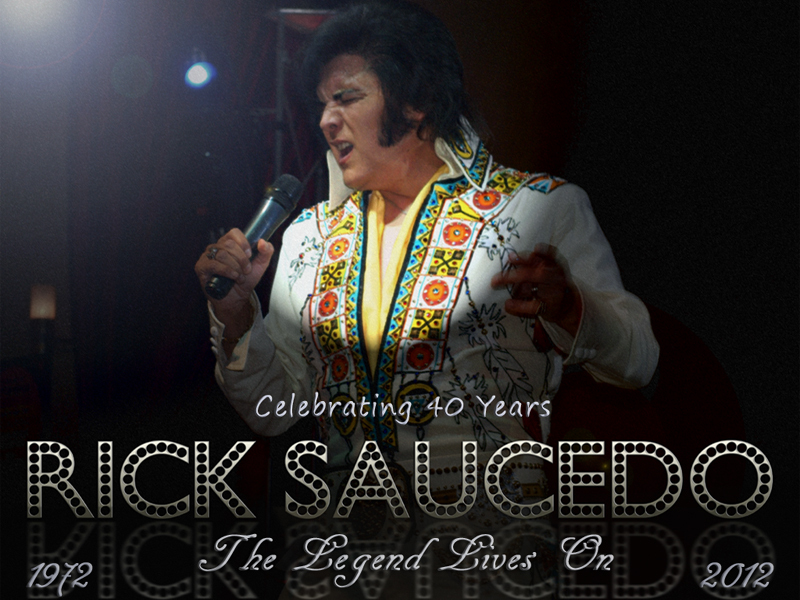 In '76, he released his first album, Rick Saucedo Live, on vinyl. 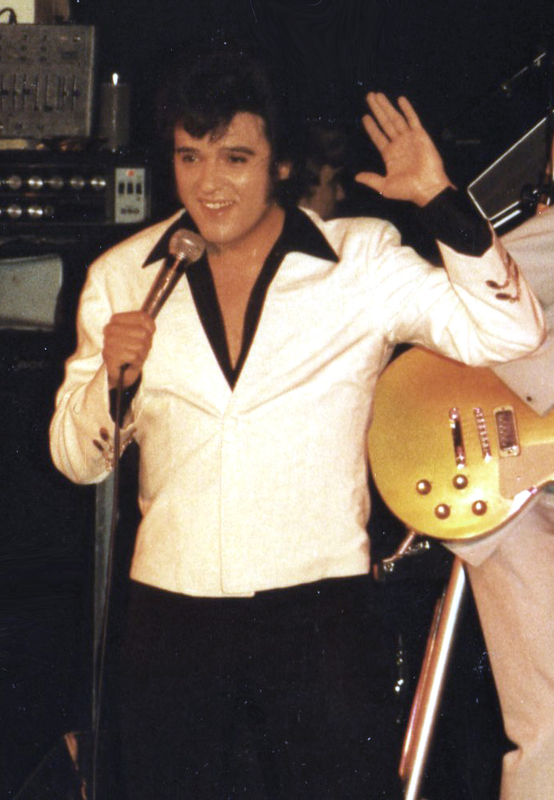 “The Legend Lives On” in 1978, following the passing of Presley. for five months, never using a stand-in. 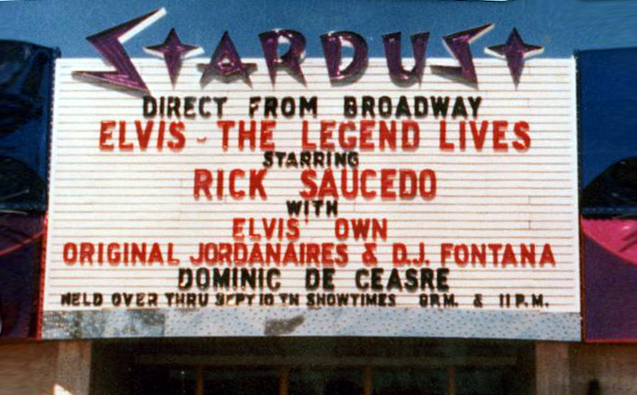 and played the Stardust in Las Vegas, again accompanied by The Jordanaires and D.J. Fontana. 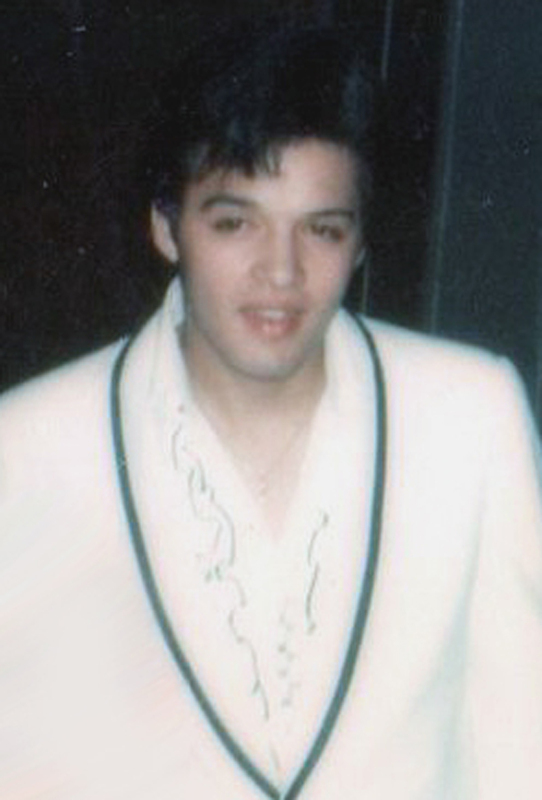 Later that year, Rick was approached to star as the title role in the 1979 film, Elvis. 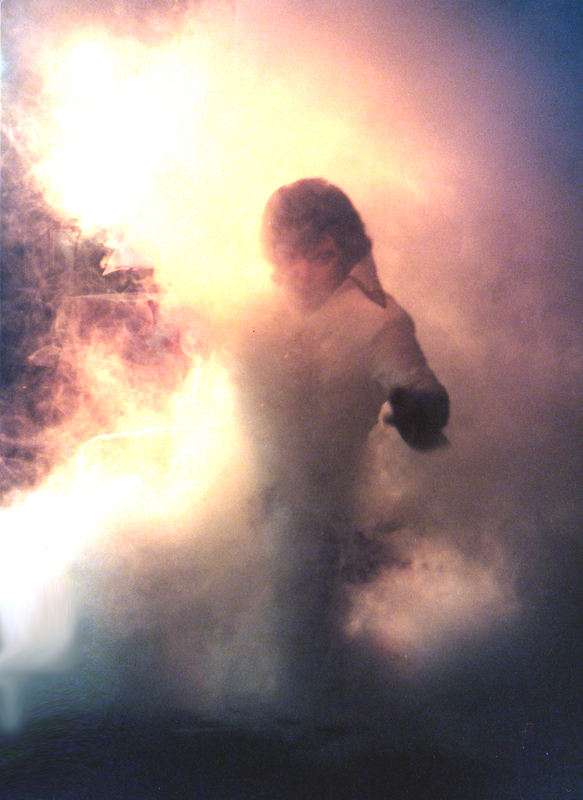 Rick, being a true tribute artist, was ready to show the world everything he had. would sing the vocals while Rick would lipsync, and do the talking and acting. be a fair demonstration or performance, so he declined. Kurt Russell would go on to take the role, instead. from this effort was "Love Is A Game" and "Our Love". 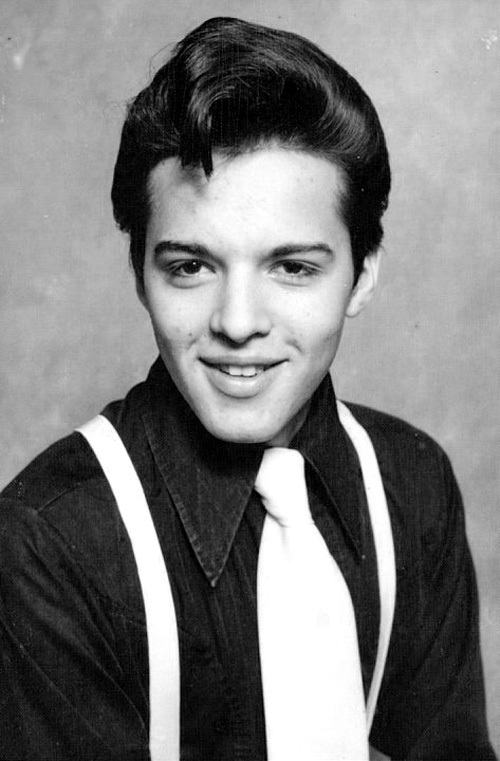 as he joined with Johnny Starr and The Meteors. went on to rock and roll from stage to screen. 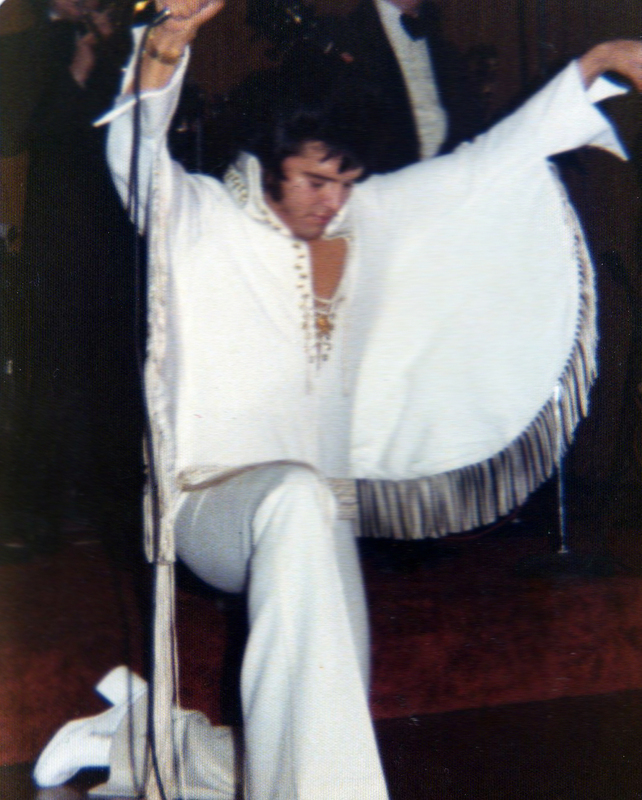 in Elvis Stories, a film written and directed by Ben Stiller. but Rick took the opportunity to loosen up a little. did not like to use tracks early on, but that changed after Aruba. 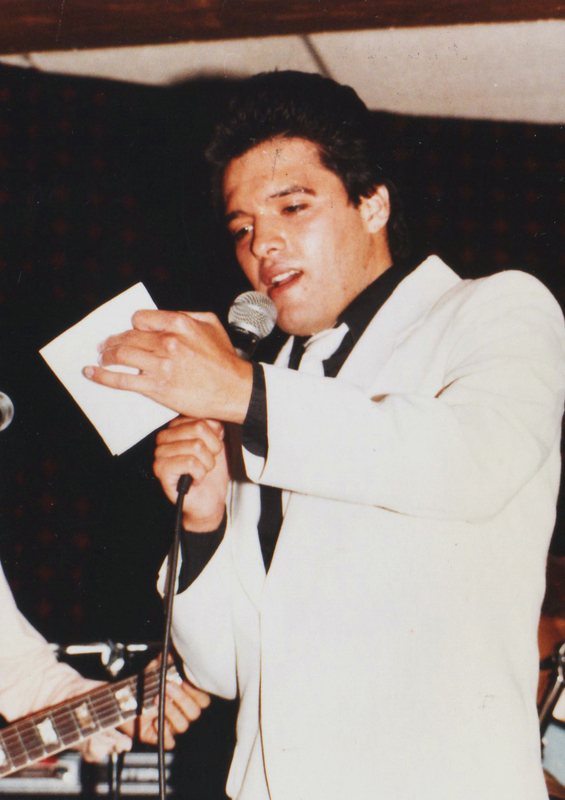 In 1998, Rick performed as a solo act at the Alahambra Theatre in Aruba. to the Theatre asking Rick to stay longer, but his fans back home missed him, and he missed home. 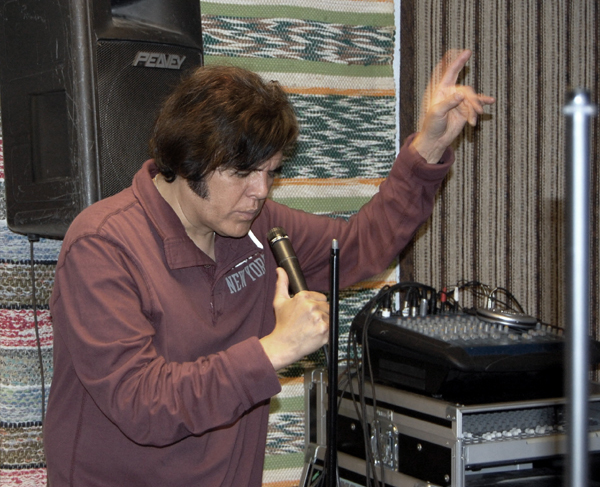 Upon his return to the states, Rick began performing with backing tracks. but most venues prefer this type of show as well. 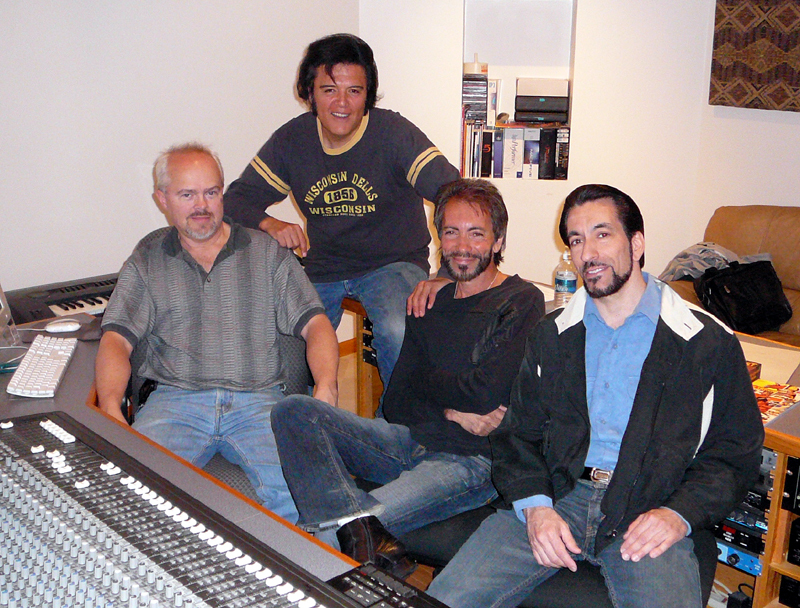 authenticity, and professionalism that comes with Rick's backing track production. For larger venues and festivals, Rick will still perform with a live band. 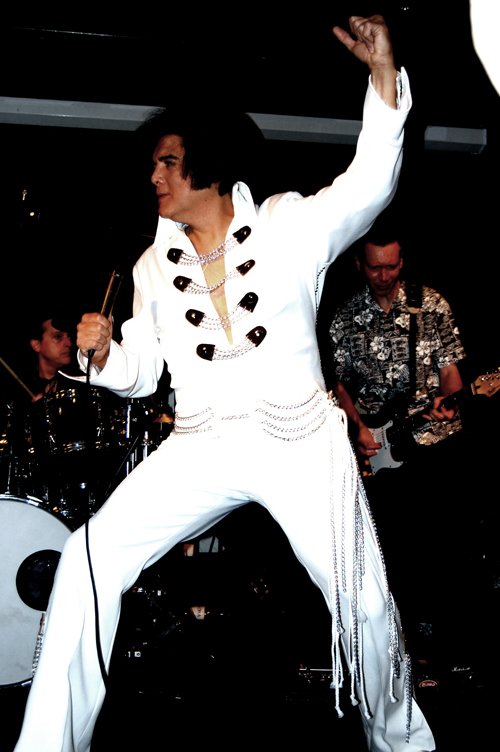 successfully merging the style of Elvis with something entirely new and original. The album hit shelves in music stores and the promotional tour began. kept Rick busy recording on a regular basis in the 2000s. Rick began recording new songs with The Ambassadors. as well as his own original talent he incorporates into his shows. and perform elaborate Halloween shows centered around his and the music of others. 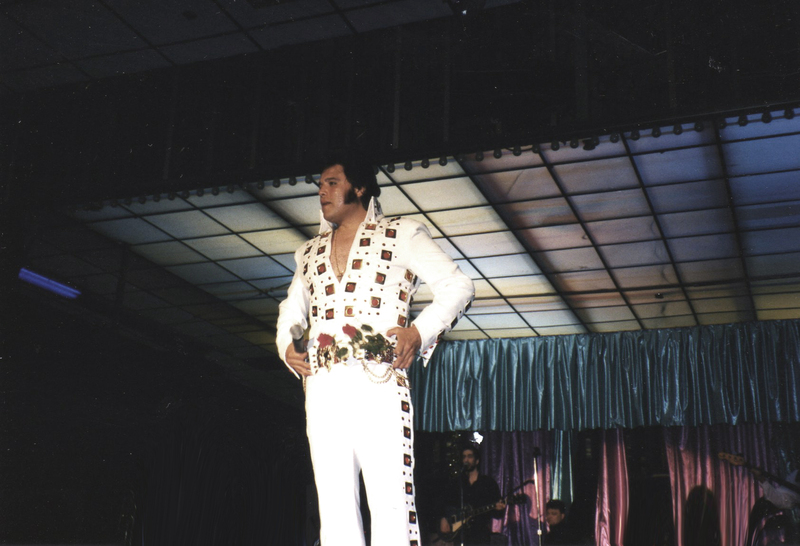 that was an enormous success in 2001.
as he performed in front of a crowd of over 30,000. His talents had not gone unnoticed over the decade. in the reader’s poll of the Suburban Nitelife Magazine in 2001.
and was again voted “Best Solo Performer” in 2006, 2007, and 2008. 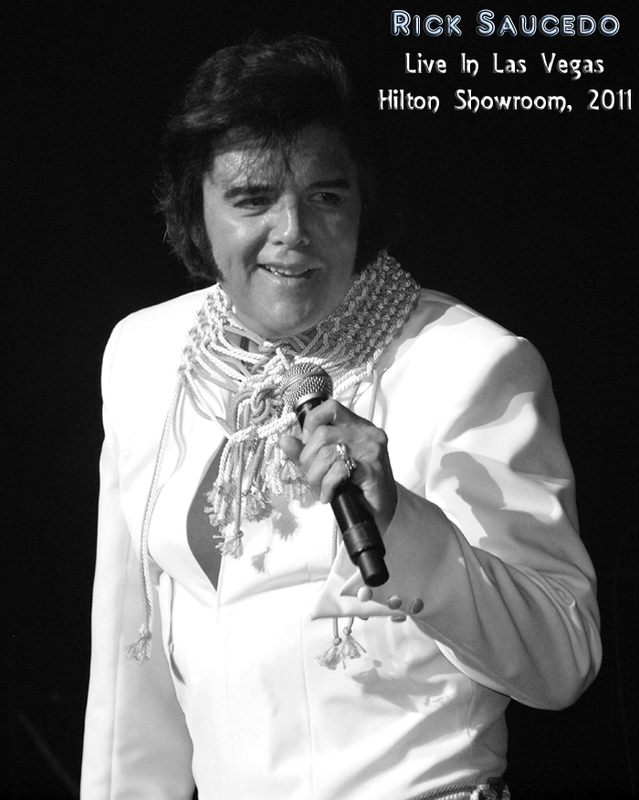 In 2009 Rick was nominated for "Best Solo Performer"
and won "Best Lounge Act" in the Suburban Nitelife Magazine Poll. his first steps into social media. at the driving force behind his music. over the years, in addition to reaching new people. and many of Rick's fans voted for their favorite original songs. fans had almost 50 songs to choose from. 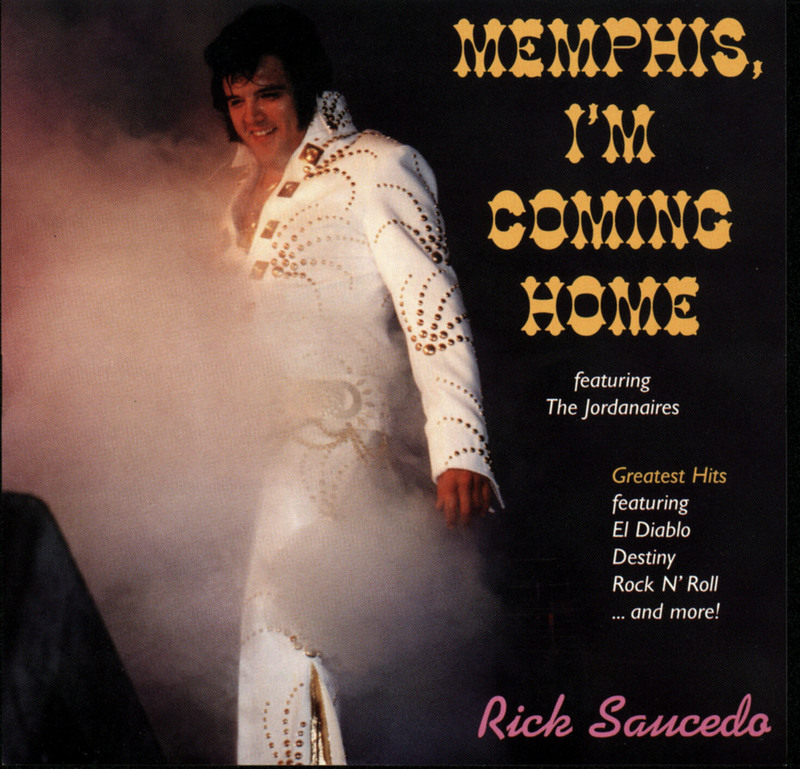 of Rick's first career-spanning album - which featured the songs that were voted in by the fans. It spans his original music from 1978 through 2009.
and represents the gifted talent for original music that Rick has. 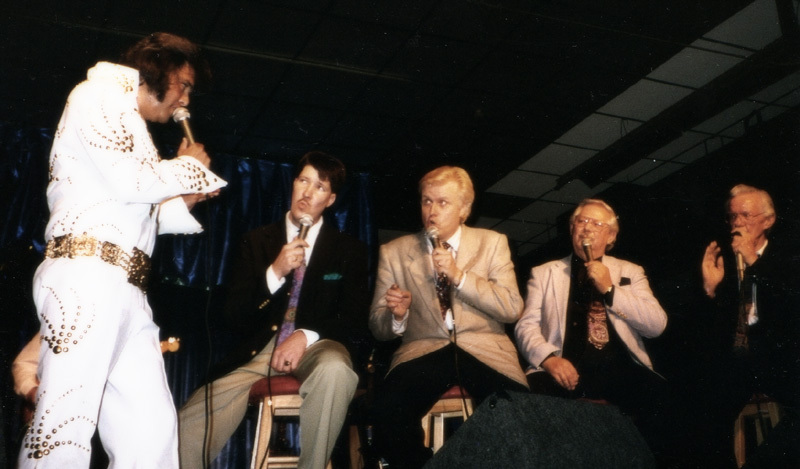 The Sun Cats invited Rick to perform with them. and filled the house in Lulea, Sweden. 40 years in the business, a landmark that has placed him in an unprecedented, elite class of ETAs. Numbers aren't as important to Rick these days. To him, age is just a number. It's not about your age, but about the way you feel. 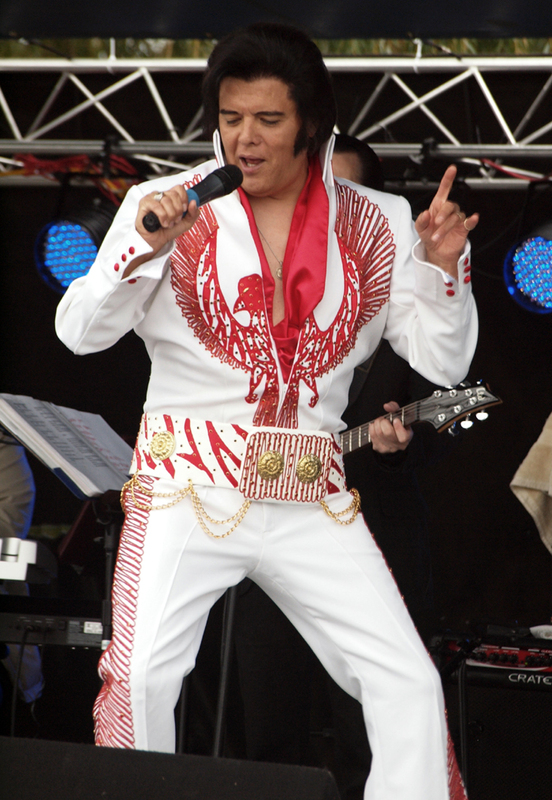 for Elvis Tribute Artists. 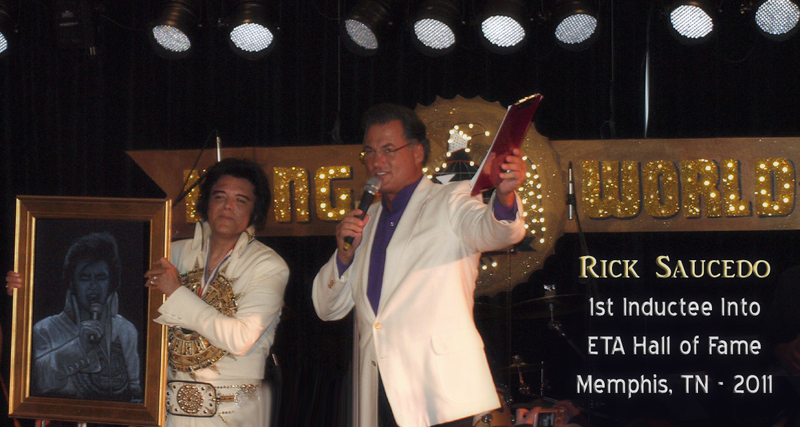 Rick received the award on July 29th, 2011 at the Las Vegas Hilton. and Rick received it from Sweet Inspiration Estelle Brown. 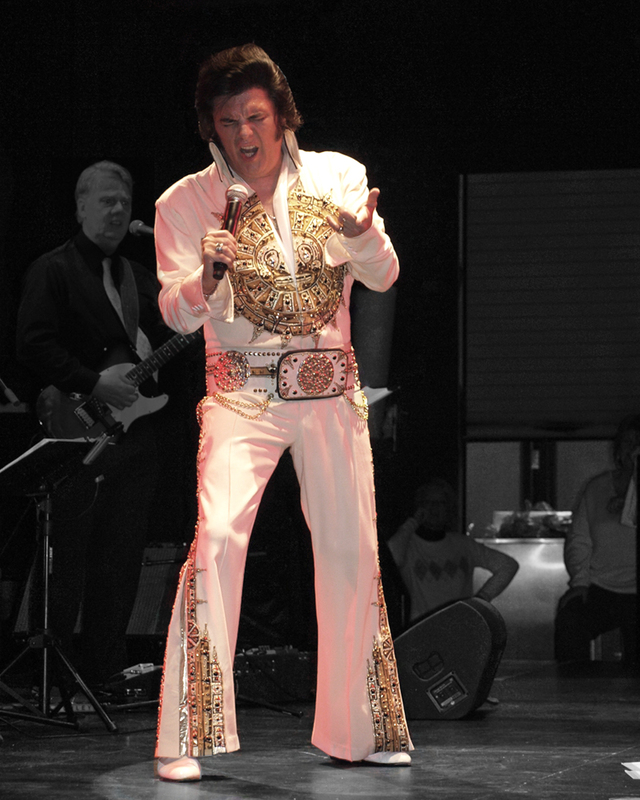 King Of The World event from the Elvis Entertainers Network (EEN). 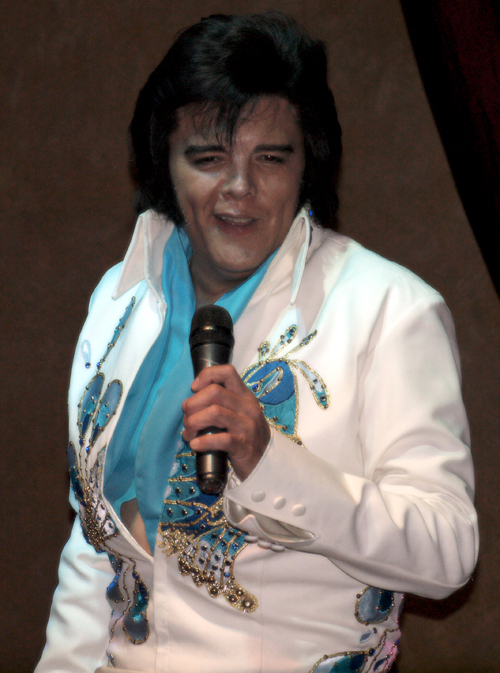 the first inductee into the Elvis Tribute Artist Hall of Fame. To see the Las Vegas award ceremony, click here. with a stronger-than-ever passion for music integrity. Rockabilly, Rhythm and Blues, and Rock 'n Roll. rather than just sing to a backing track. songwriting and musical style: Paul McCartney. in the history of the world. The man responsible for his interest in songwriting. that started with a rekindled interest in his own original musicianship. 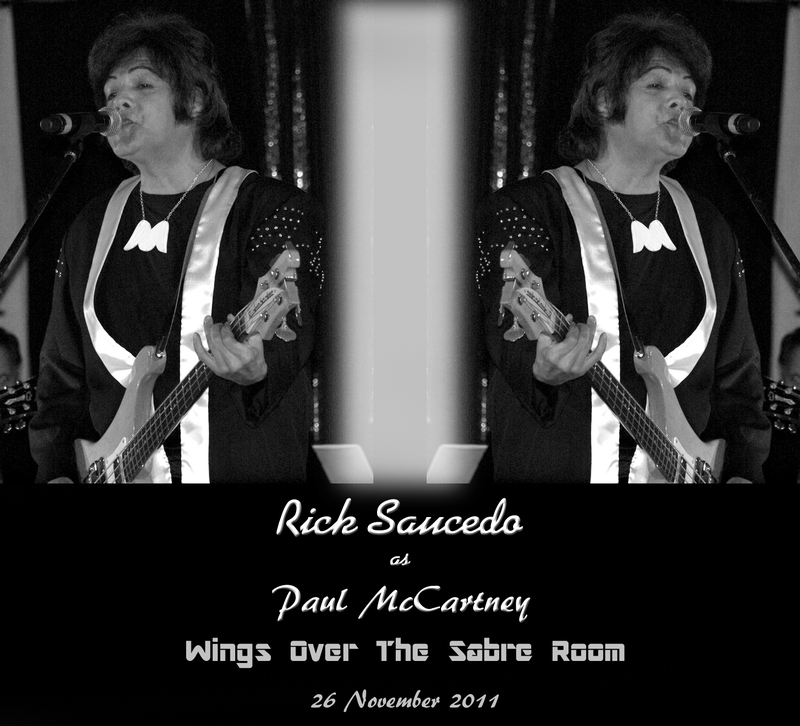 the music of Paul McCartney, The Beatles, and Wings. of Rick's career: The 1994 Ambassadors Reunion. while supporting the GCFA (Greater Chicagoland Ferret Association) Charity. original albums for digital release. to a new level of sonic quality fit for digital downloads. These remasters have begun to be released on iTunes, Amazon.com, and cdBaby. as he received a Lifetime Achievement Award at the Chicago Music Awards. hometown award that Rick had been waiting for. New tracks, albums, fans, and opportunities keep the fire burning for Rick these days. 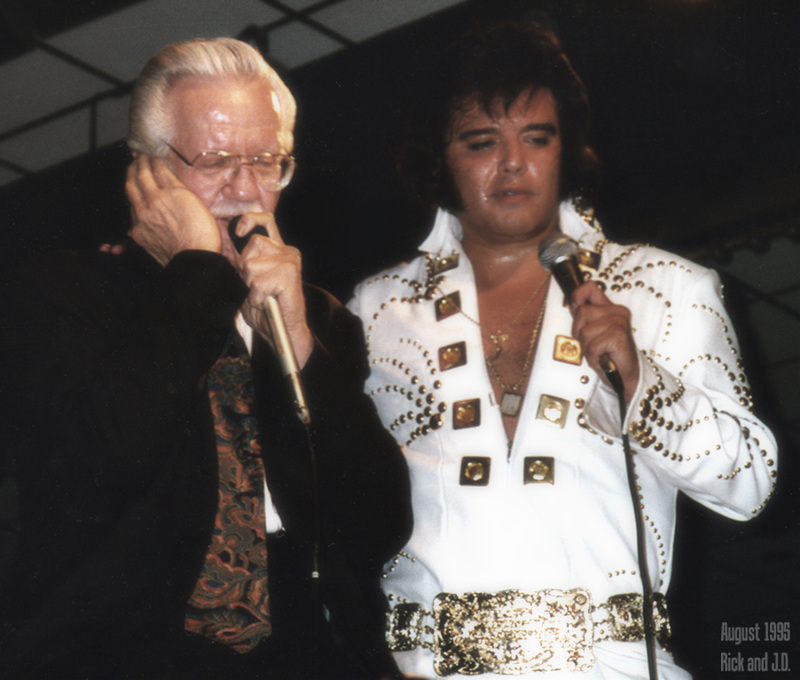 The latest technology and generation of Elvis fans has kept Rick interested and involved. since 1972, Rick remains a legend in the eyes of many fans and ETAs. the methods and styles of Rick Saucedo. The King of Rock 'n Roll himself left this Earth. To this day, Rick remains The Prince of Rock 'n Roll. Rick has been a part of "the band" since the '60s with his junior high band. Perhaps most well known is his work with The Ambassadors, starting back in 1972 as Rick, Danny, Joey, and the gang rocked and rolled their way through the '70s and '80s. 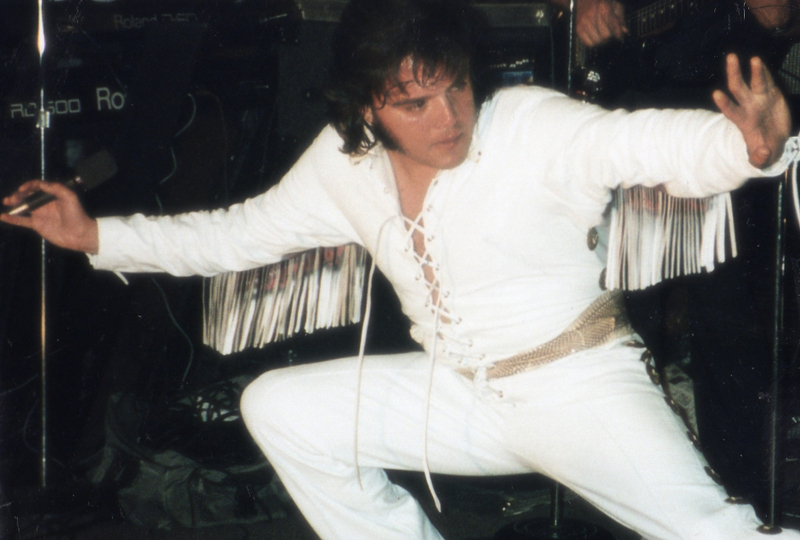 They first met at a carnival and it all began when 17-year-old Rick drew attention as a kid who looked, dressed, and sounded a lot like a young Elvis Presley. 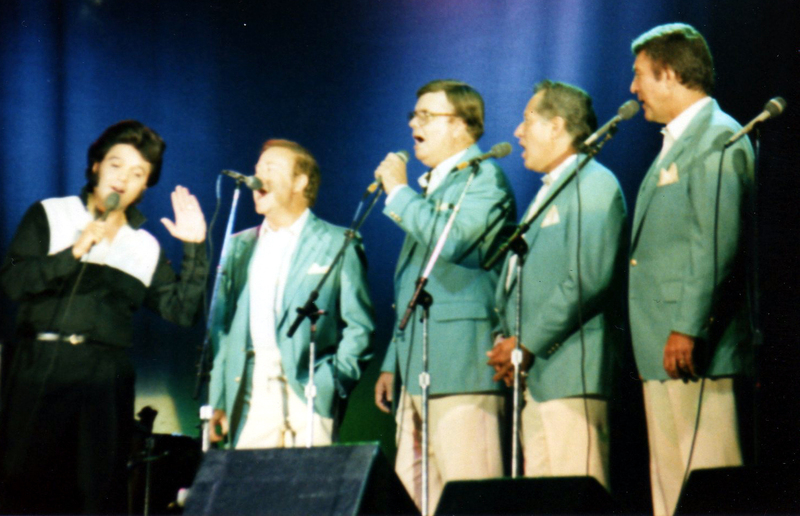 Rick played with The Ambassadors for the decade, from Vegas to New York, and Chicago to Canada. He left the band in the early '80s to focus on his original music. Rick joined the band Redwing and lent his lead vocals and musician skills to this rock band. 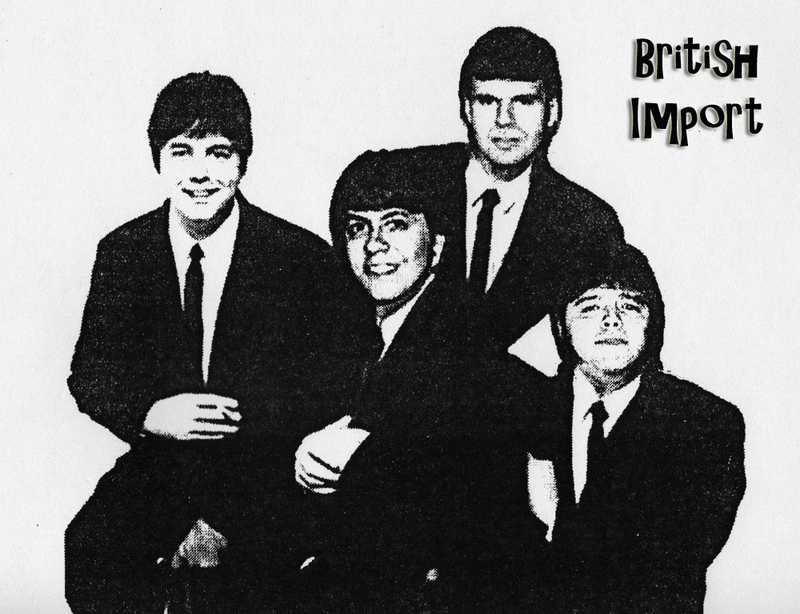 Focusing on the later music of Lennon, McCartney, Clapton, Badfinger, and more - this band fueled its way onto radio and on stages all throughout the country, also bringing the long-haired, bearded Saucedo on stage with new original material. 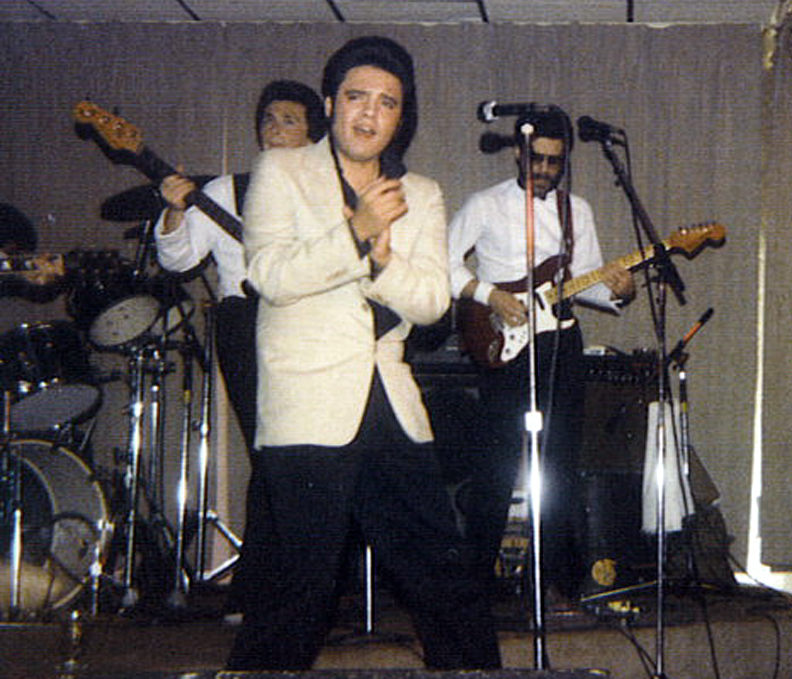 In the mid '80s Rick moved on, shifting back to Elvis with The Meteors for a short run before a reunion with The Ambassadors in 1994. 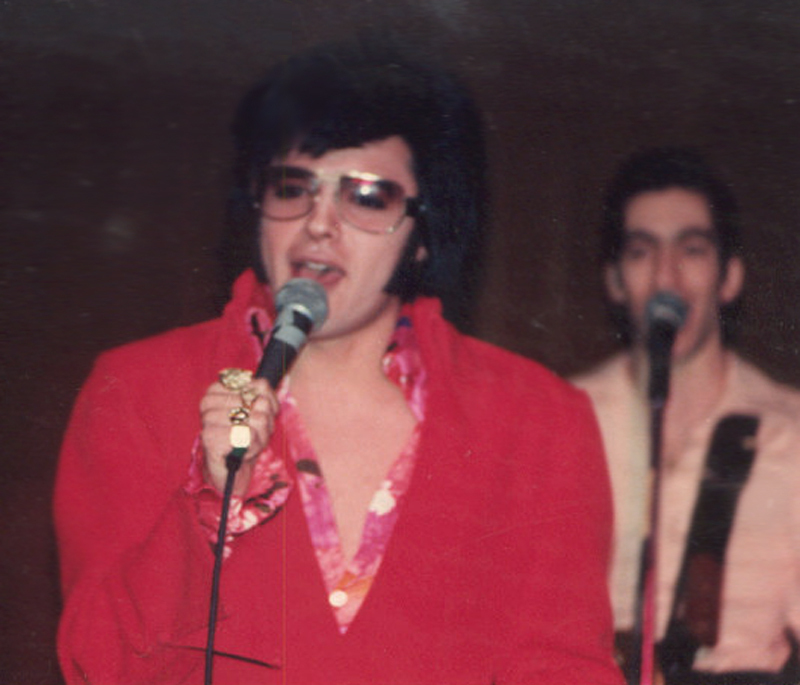 By the '90s, Rick began playing with one of the most successful Elvis Tribute bands - the (original) Expense Account (now called EAS). From the '90s to present day, Rick will occasionally play with this band at fests, theatres and more. 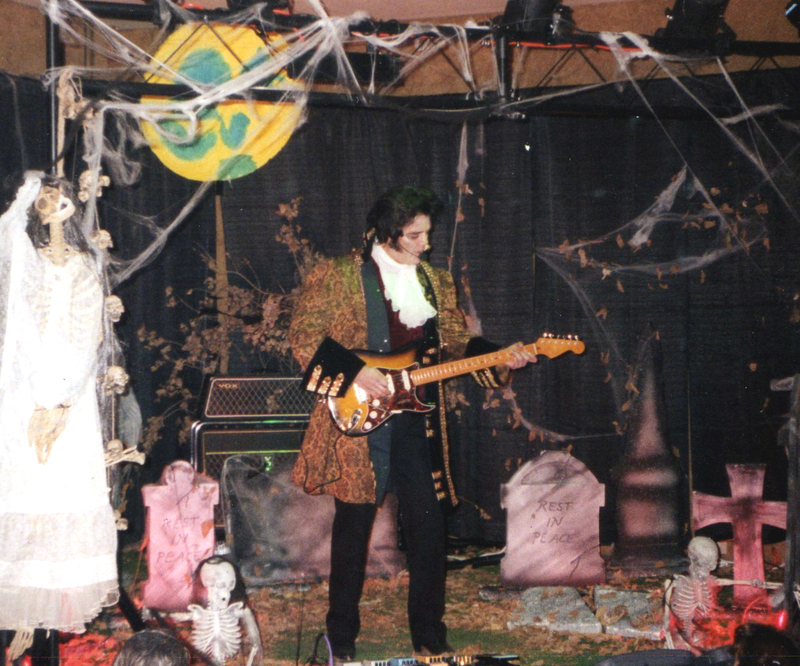 Rick continued to perform with The Ambassadors and EAS in the '90s, along with several other pickup bands. Then in 2005, Rick joined up with Change of Habit, an up-and-coming band that branched off of EAS and has since propelled into one of the more successful tribute bands, and Rick's preference. 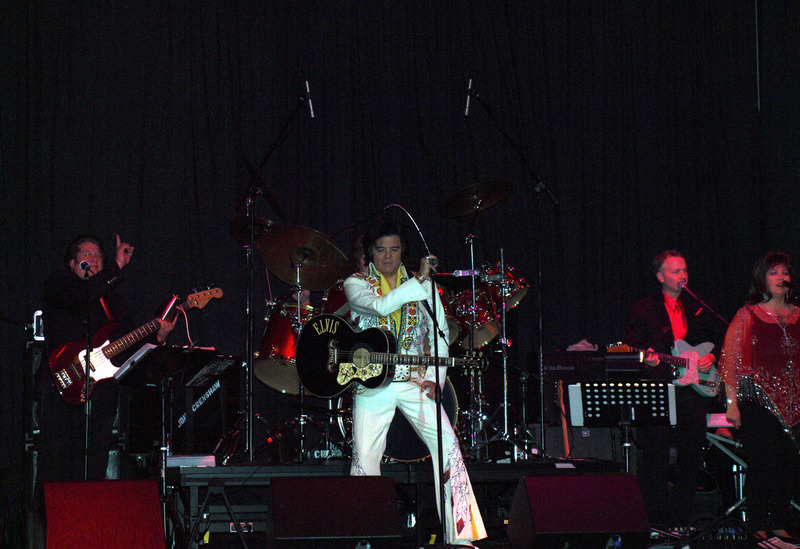 Rick rocked and rolled once again with this new, energetic band from 2005 through 2009, and again in 2011-2012. In the end, after 40+ years, Rick prefers backing tracks these days as they are customized to his liking, but when the opportunity arises during a festival or big event, Rick will almost always take the stage with Change of Habit, EAS, or The Ambassadors.